Those who drove the D-type in period have mixed feelings about the car. And perhaps because he drove it during its development phase — and had met with such success in the C-type — Stirling Moss has the least flattering memories of it. "The C-type was much nicer to drive than the D, which was a less accurate car. We had lots of problems with the D's disc brakes: flexing hubs caused pad knock-oft vaporisation and much more. We went up the escape road at Mulsanne as many times as we went round the corner during practice at Le Mans in 1954. "I was first, second and third at different times early in that race, but after a couple of hours the car dropped to 4600rpm in top, so I had to come in. We refuelled but, after removing the fuel filter, the problem got worse: Peter Walker [his co-driver] was stuck at Hippodrome for 40min. But then it cleared [the problem was caused by contaminated fuel] and it went okay for a while — I pulled 174mph [on 17-inch wheels] at night. But at 11.56pm, I had total brake failure at Mulsanne and crept back to the pits. The team had repaired it by 1.40am, but decided to withdraw the car." Stirling's second race with the D was the Reims 12 Hours on July 4-5. "I had a fair start and gained 300 yards on the first lap. I eventually lapped everybody up to the Umberto Maglioli/Robert Manzon Ferrari. A plug electrode fell out at 1.50am and I stopped, refuelled and continued until 4am, by which time we had a two-lap lead. 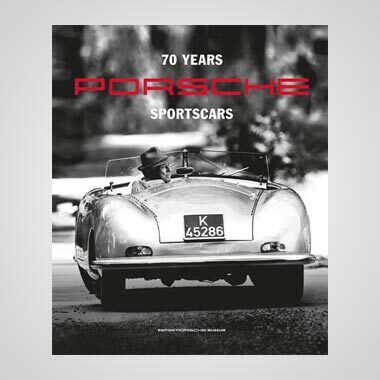 Peter [Walker] took over and had done only two laps when a driveshaft broke." 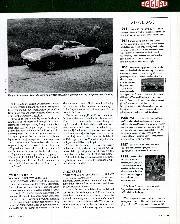 Stirling's final D outing was at Dundrod for the 1954 Tourist Trophy on September 12-13. 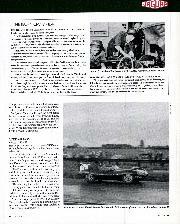 On this occasion he used a 2.5-litre version designed to take advantage of the race's handicap regulations. 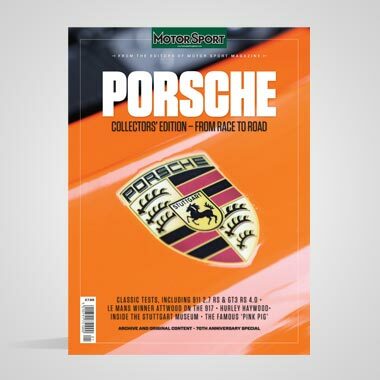 "I drove it to the circuit and it felt fine, albeit a bit undergeared. I managed a 5min 8sec [3sec faster than the 3.4], but I was having to use Dunlop Road Speed tyres and was very pissed off; there was a big row before this was resolved. "I was up at 7am on race day to do a few laps to run the car in the team had changed the pistons after the motor began seizing during practice. But after three laps the engine began to seize again. I slowed for about a minute and it felt okay again. Later it jumped out of second gear and revved to 7300rpm. I got up to third on handicap with a fastest lap of 5min lsec [2sec quicker than the quickest 3.4]. I handed over to Peter Walker, who had one stop for plugs, and I took over in fourth place, but 300rpm down. Eventually, the oil pump sheared and I waited at the line to be classified a finisher. "Jaguar were pretty upset about my going to Mercedes in 1955. I didn't have the most reliable time at Jags, but I liked the friendly team and felt very proud walking alongside the C and D-type at Le Mans." 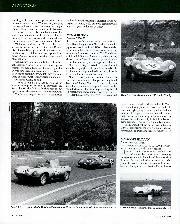 Having lost Moss, Jaguar set about recruiting new faces for a team now led by Mike Hawthorn. 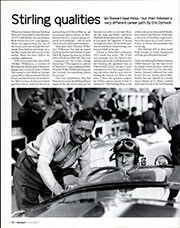 Among those tried was Ecurie Ecosse and Aston works driver Jimmy Stewart, elder brother ofJackie. "I tested OKV 2 at Silverstone along with Don Beauman, Desmond Titterington, Ninian Sanderson, Ivor Bueb --- and Hawthorn. I was still suffering the effects of a badly broken arm after crashing one of the Aston Martin DB3S coupés at Le Mans, and had to have another go about three weeks later. This went much better --- I had a great time flinging the car around in the rain --- and [team manager] 'Lofty' England wrote to confirm my place in the team for Le Mans. "Before that, though, Ecurie Ecosse bought two D-types and entered them for the Eifelrennen in May. I had not quite reached Adenau Bridge on my first lap when the brakes failed and I went backwards --- and upside down! --- through a hedge. Desmond [Titterington, his team-mate] also crashed for the same reason [probably pad knock-off caused by hub flex]. I was very shaken and knocked about, and Stirling stopped in a Mercedes, helped me out and gave me a lift back to the pits. "I immediately decided to retire from racing and phoned 'Lofty', who tried to persuade me otherwise. I do regret stopping now (I was only 23), but if! had carried on I might not be here today. "I loved the D-type: it understeered a bit in the dry, but it was much easier to drive than the C-type and felt much quicker." This former Jaguar service manager for the Belgium Motor Company --- and noted journalist --- joined the 1956 works team after successful tests at Silverstone and Reims. 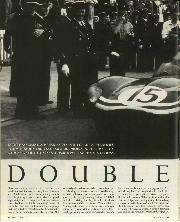 "At Reims, I co-drove with Mike Hawthorn and we lost the race to our team-mates when Duncan Hamilton used the superior acceleration of the fuel injection car to catch me and win against team orders. Duncan was sacked from the team as a result of his actions. "Sadly, it was even worse at Le Mans: I crashed at the Esses on the second lap on a very slippery surface. Moments later Jack Fairman spun his D-type at the same place and was hit by Alfonso de Portago's spinning Ferrari. Both Jags were out. Lofty England was absolutely incredible about it --- That's motor racing,' he said. "I drove a D -type at Le Mans in 1957, sharing Rare Stasse's Equipe National Beige car with Freddy Rousselle. We should have finished second, but a points failure lost us 45min. We finished fourth. "The D-type was great to drive. The engine was so flexible and the steering wonderful. It was not so good on bumpy roads, but it was perfect for what it was designed to do: win Le Mans." 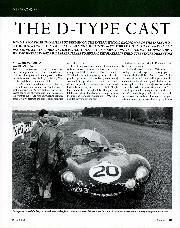 'Production' Ds became available in 1955 and Peter Blond bought one in '56. He had started his Jaguar ownership with an SS100 --- a 21st birthday present from his father as reward for not drinking or smoking! He moved on to an XK120 and then a 'lightweight' C-type. But one day, while walking down Warren Street in London (a well-known venue for car dealers) something caught his eye. "I saw a red D-type parked at the kerbside and ended up buying it, on hire purchase, from Bernie Ecclestone. It was painted red from new, the only D to leave the factory in this colour. "I loved driving it to and from meetings. This was done on a very modest budget: we bought used tyres from 'Dunlop' Mac for £5, while 'Lofty' was incredibly generous and helpful to privateers; he would take a very long time in presenting the bill --- a great help to impecunious owner/drivers. "After the D, I drove for HWM --- but also raced one of Duncan Hamilton's Ds occasionally. Once, we were returning from Silverstone to Bagshot in convoy at night, going 100mph uphill, when I saw some headlights going around and around. I realised that Duncan was spinning and jammed on my brakes. They pulled violently to the left and caused me to crash, too. Duncan was frightfully annoyed! "The D was a fight car, not so fussy or twitchy as the C, especially in the wet. It felt more refined, very tractable and was a much more restful to drive." Until Jim Clark joined Lotus, Ian Scott Watson was his manager as well as a close friend. 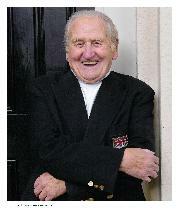 Jim and I met [Border Reivers team chief] Jock McBain at Charterhall in late 1957. Jock wanted to race sportscars and had purchased the ex-Murkett Brothers' D-type for £1,600. Its driver was to be Jimmy Somervail, but when he was unable to leave his farm, Jimmy [Clark] got the ride. 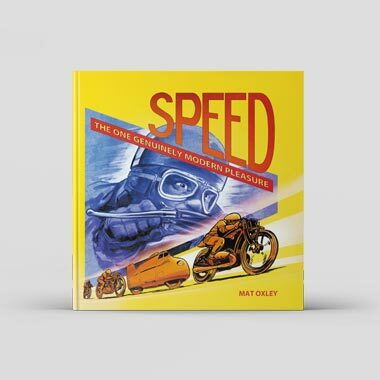 He did the first 100mph sportscar lap in Britain, at Full Sutton, and raced the car on 20 occasions, winning 12 of them. He liked it a lot and drove it on the road often. "At Spa in 1958, I had to leave the night before the race because my father was dying, so Jimmy raced alone. He was not too fond of Spa and did not enjoy the experience, made worse by the fatal accident that befell Archie Scott-Brown in a Lister-Jaguar. When Reivers got its Lister, Jimmy treated it with a great deal of respect." This ex-Jaguar apprentice raced an XK120 and a C-type before buying a D-type from Ecurie Ecosse in late 1958. "I paid £1850 for it. It still had the 3-litre engine in it and I raced with this in 1959 --- but it needed more. 'Lofty' England sold me a wide-angle 3.8 unit for £250 and I had many successes with it, including the Autosport Three Hours at Snetterton in 1961. "The D was lovely to drive on the road, very rigid and all of a piece, not the usual loose, rattling thing that most competition cars were, especially the Ferrari GTO. It was a beautiful handling car, too: you could drive it on the throttle, slide it around. "The one thing that bothered me about it was the Plessey pump that controlled the brakes. I could reach forward and press the pedal with my fingers and still stop the car! If you braked too hard and the tail lifted, the brakes would lock then it was scary. "The car was prepared by myself and Monty Mostyn of Speedwell Garage and nothing major was ever changed. I sold it on to Peter Sutcliffe in 1962 for what I had paid for it."